I know what you’re going to say - I’m insane for saying this. After all, crossovers are a massively booming market, displacing the midsize sedan in America, and displacing the MPV (what we Americans would call the minivan) in Europe. However, I suspect that this trend won’t last in reality. Efficiency regulations will require lower frontal area, for one, and I think there’s still a lot of people that want a car - note that in the US, a lot of crossover sales are a result of the wagon and hatchback’s death, and the sedan’s lack of versatility. It might, however, last on paper - we might all be buying “crossovers”. What even is a crossover? So, rather than saying “I know it when I see it”, let’s talk about what defines a “car” versus a “crossover”. I’d like to argue that if your vehicle is under 60 inches tall, it’s a car, end of story, no debate. The Audi A4 allroad at 58.8", the Volkswagen Golf Alltrack at 59.6", and the Buick Regal TourX at 58.4" are all cars by this definition. This leaves a no-man’s-land between 60 and 65 inches. Very few true cars enter this space (and they tend to be extreme luxury - the Rolls-Royce Phantom comes to mind), but the compact crossovers tend to inhabit this space (C-HR at 61.6", HR-V at 63.2", CX-3 at 60.7-60.9", Juke at 61.8"), and blur the lines between hatchbacks and crossovers (especially the C-HR and Juke). So, let’s talk about how the crossover is actually dying, in three cars. 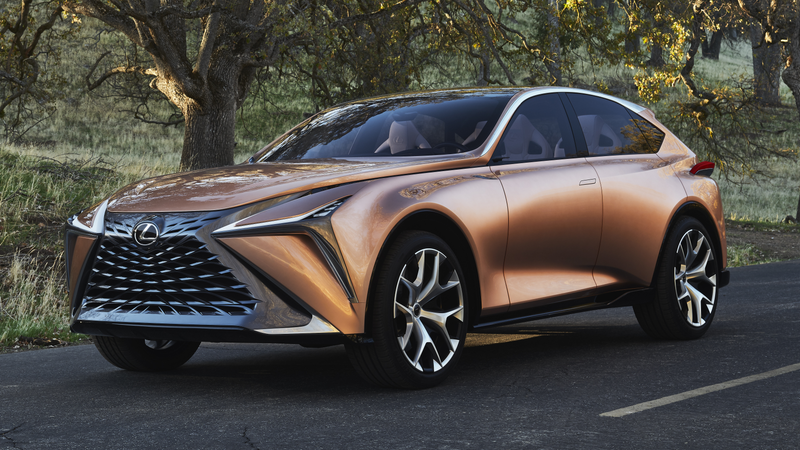 The Lexus LF-1 Limitless Concept, pictured above, is 63.2" tall. It’s what Lexus is positioning as their flagship crossover - ultimately, this moves into the position above the (67.7" tall, definitely a crossover) Lexus RX. It’s definitely tall compared to a car... but it’s in the no-man’s-land. Not only that, but the press release even talks about station wagons (although I think it’s just on the wrong side of being a wagon by the Torchinsky rule - I’m not sure if I can count that C-pillar window as a cargo area window, and the hatch is too sloped). I suspect that this is going to be part of a trend away from crossovers, really - or at least into the no-man’s-land of not-quite-crossovers, not-quite-cars. Maybe you could call them crossover crossover utility vehicles - just like CUVs were crossovers between SUVs and cars, CCUVs are crossovers between CUVs and cars. Note that I listed this one up in the cars earlier - I mean, it’s under 60" tall. However, I listed this because of the “don’t say wagon” marketing strategy that Buick’s using, really - they want to use some crossover styling tropes to convince people that their car is a crossover, even if they also don’t really say “crossover” either. I’d like to argue that this car is singlehandedly the harbinger of the crossover’s death. The GLA-Class sells quite strongly despite simply being a Golf-class hatchback with more butch styling, and I suspect it may well be the future direction of the crossover class - basically, cars, but more aggressive.